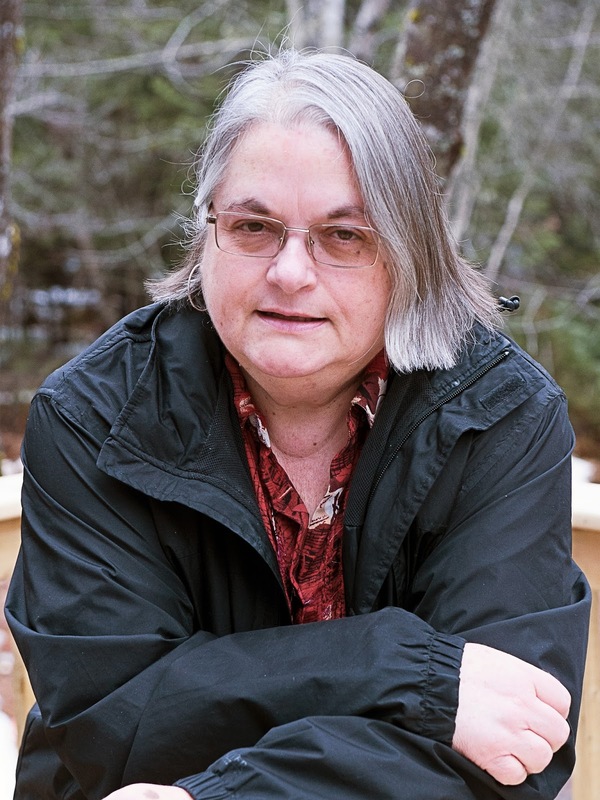 South Branch Scribbler: Guest Author Jane Tims of New Brunswick. Guest Author Jane Tims of New Brunswick. 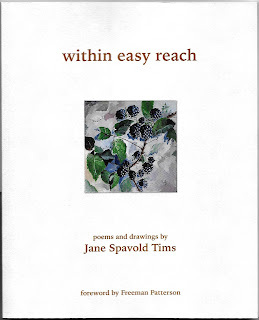 Jane Spavold Tims is a botanist, writer and artist living in rural New Brunswick. Jane’s interests are diverse but usually include a connection to natural themes. Her manuscript of poetry “mnemonic”, about wild bird calls, won the Alfred G. Bailey Prize in the 2016 New Brunswick Writers’ Federation Writing Competition. Previously she won Honorable Mention in this same category for her poetry manuscripts “growing and gathering” and “waterfall”. She has published one book of poetry, within easy reach (Chapel Street Editions, 2016), about gathering edible wild plants. 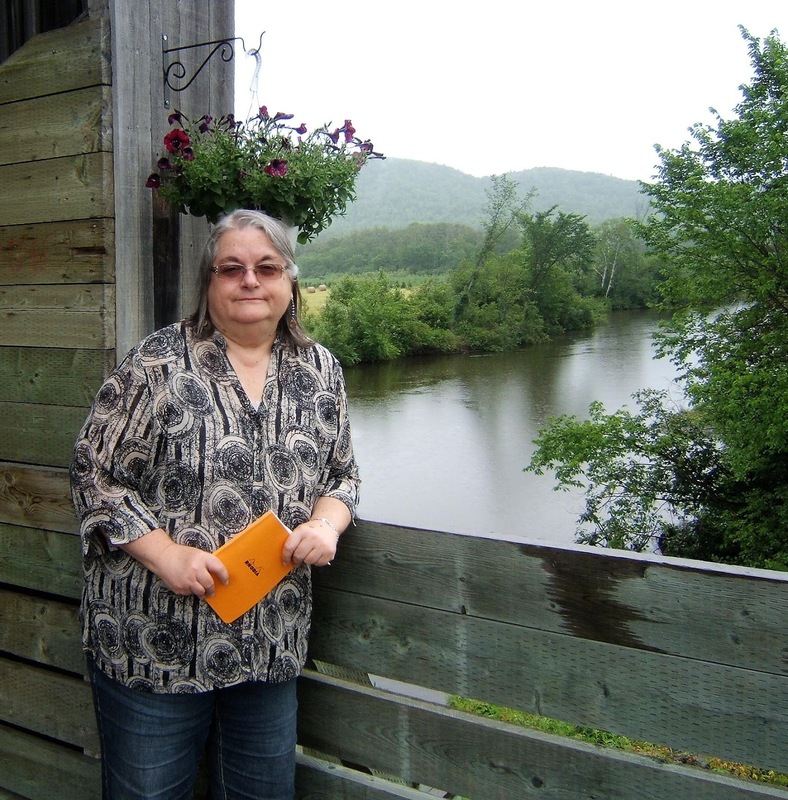 Her next book of poetry will be published in 2018, about plants and animals living in the shelter of New Brunswick’s covered bridges. 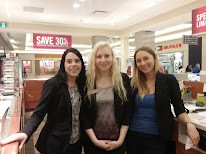 She has also contributed to a chapbook “butter and eggs” by the Fredericton-based writing group Fictional Friends. 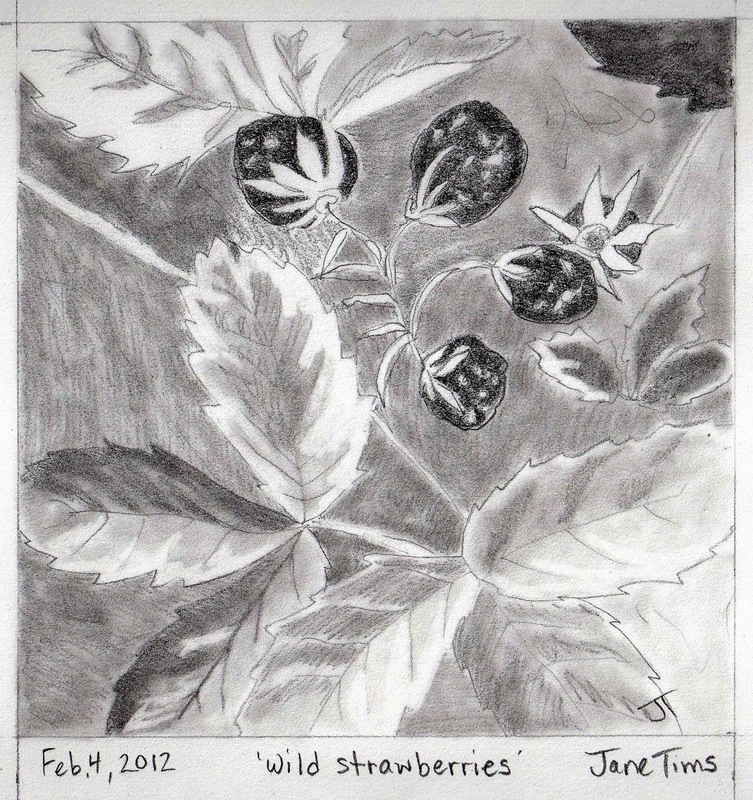 Jane illustrates her books with her pencil drawings and paintings, and shows her work regularly at Isaac’s Way Restaurant in Fredericton in their charity art auctions. People frame the approach to their life work very differently. Some focus on one project and work at it with commitment and dedication. Others juggle multiple projects, always keeping a dozen balls in the air at a time. I am of the second type. At any one time, I could list a dozen projects I am pursuing. Some of this is part of my personality: the tests tell me I am an INFP (Myers Briggs Type Indicator®, see http://www.teamtechnology.co.uk/ ) and my prayer for life is, “I will finish what I sta… “. But I do occasionally finish things. And I thrive when I have lots to deliver. Some of this approach was reinforced during my career – managing many projects at the same time was a part of the job. My approach to managing diversity is to tackle each project in turn, keep everything in balance and work towards specific goals. When I retired from 37 years of work as an environmental planner, I could hardly wait to start my new work as ‘writer’. I had built up to this part of my life with deliberate actions: writing at every opportunity, taking courses and building a list of literary publications. The day I retired, I was already a busy writer, working on the manuscript that was to become my first published poetry book -- within easy reach (Chapel Street Editions, 2016). By the time within easy reach was launched, I had undertaken two other poetry manuscripts with the help of Creations Grants from artsnb. Now, almost five years later, I feel like a fraud listing my occupation as “retired”: I have never worked harder or struggled more with achieving balance in my work life. Consider the romantic notion of a writer at a tidy desk, in a cozy corner before a fire, looking out on a tranquil scene. This version of the writer’s life is probably a long way from truth for most writers. My day is a busy complication of submissions, email communications, editing, arranging future readings, research, reading and, yes, sometimes actual writing. 3. the ongoing process of training: reading, communicating with other writers, attending reading events, participating in writers’ groups and taking writing courses. In my experience, the administrative side can be the most time-consuming of the three. Publishing my first book meant immersion in administration, working with the publisher to edit and publish my book and to market it in various ways. I am fortunate to have an attentive and knowledgeable publisher in Chapel Street Editions (Woodstock, New Brunswick http://www.chapelstreeteditions.com/index.html ). Publisher Keith Helmuth is interested in themes associated with the natural history of the lower valley of the Saint John River and so easy to work with. Chapel Street’s designer, Brendan Helmuth, is responsible for the beautiful layout of my book and the balanced presentation of poetry and drawings. My writing tends to organise itself in themes. Since I am a biologist and botanist, I draw from that training and experience in every bit of my writing. From this have come my poetry manuscripts about the use of plants as natural dyes, wild bird songs, and gathering edible wild plants (the beginning of my book within easy reach). I also have a degree in history, so often I include the exploration of regional, community and family history in my writing. This has resulted in poems about plants and animals living in and around the covered bridges in southern New Brunswick and a recent interest in discovering the history of our vanishing one-room schools. 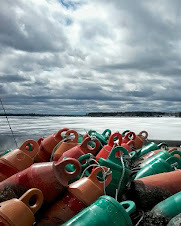 In addition to my poetry, I am also working on a trio of novels about life in a rural community of New Brunswick, focussing on efforts to save an abandoned church (“Open to the Skies”), a damaged covered bridge (“Crossing at a Walk”) and a discontinued river ferry (“Shore to Shore”). With my next book in line for traditional publication in 2018 (“in the shelter of the covered bridge”), I have decided to try my hand next at independent publication. In part this is about curiosity and in part it is because writing in the science-fiction genre is so new for me. I have always loved reading science-fiction. My sci-fi story will be contained in a series of five short books, each presented as a long poem and illustrated with my drawings. I will publish under my first name Alexandra Tims, in part to keep my work in the sci-fi genre separate from my other poetry. The first book, Meniscus: Crossing the Churn tells the story of a young woman on an alien planet and her search for freedom from servitude. Of course, I don’t work on all these projects at once. Instead I will say that all are in various stages of completion. At any one time, I have a writing focus, a single project in the creative phase. And a couple of projects in the administrative phase. The difficulty with independent publication? The creative and administrative phases are accomplished without the help of a publisher -- the author has to undertake both phases alone. But not alone. There are editors out there to help with manuscript review. My editor for Meniscus: Crossing the Churn is Lee Thompson (Lee Thompson Editing + https://leethompsonediting.com/ ). This is my third project with Lee and I have confidence in his approach to manuscript evaluation and substantive editing. 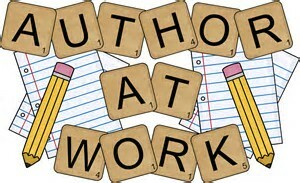 There are also other writers who have independent publishing experience and are willing to help. 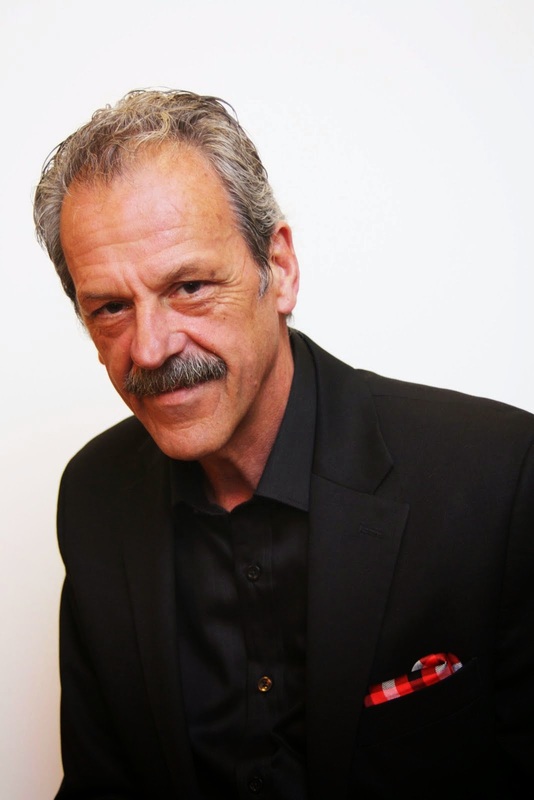 For this, I have turned to my friend Roger Moore, writer and poet, who has undertaken the process of putting his numerous books into CreateSpace ( https://rogermoorepoet.com/ ). Roger has helped me to understand the process and mechanics of independent publication. And there are those who have listened and helped me hone my ideas and writing. I am fortunate to belong to two writing groups: Wolf Tree Writers who have met monthly for over twenty-five years, and Fictional Friends who have been together almost ten years. For me, these groups have provided the support and friendship of other writers, and a chance to hear the work of others and to get feedback on my writing. My fellow writers in both groups have listened and offered comment as I embark into this new genre of writing. I think they would agree they have found my interest in this project to be a bit bewildering! So, I am certain I have proven to you that I am interested in working at the same time on multiple projects. I know completing projects one at a time would probably send them more efficiently off the end of the production line. But I was made to manage diversity. And in the end, whether or not I get the truck loaded with all my completed boxes of books is not really the point. 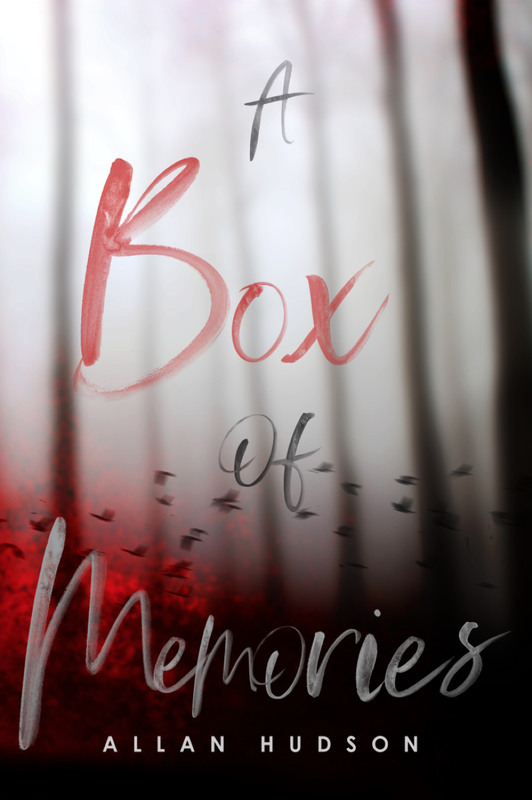 The point is that I had lots of ideas, wrote about them and loved the whole process. 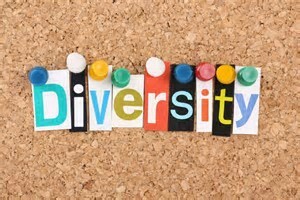 Managing the diversity is part of the pain and the fun. 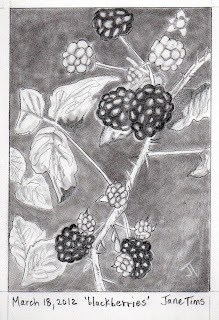 Blackberries (various species of Rubus) are brambles growing in barrens and waste areas, in meadows and along roadsides. Plants range from tall and arching to low-growing. Some have numerous prickles and bristles, and some are barely prickly. The black fruit are raspberry-like, eaten raw, or used to make jam, jelly and beverages. Thank you Jane for being our guest this week on the Scribbler. 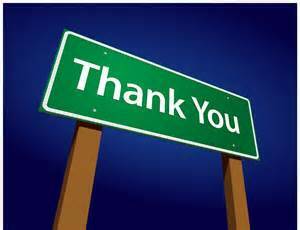 And a huge thank you to you Dear Reader for visiting. Please fell free to leave a comment below. Reaching the Pinnacle by Allan Hudson - Part 1.